The live feed is only available in Edge, Firefox, Chrome, and Safari browsers. Internet Explorer is not supported. In 1900, Montana Tech opened its doors to 39 students. Today enrollment stands at over 2,600—and as our student body grows, so must our campus. We realize that along with larger enrollment, the interests and wants of our student body have also evolved, and we aim to meet those needs. 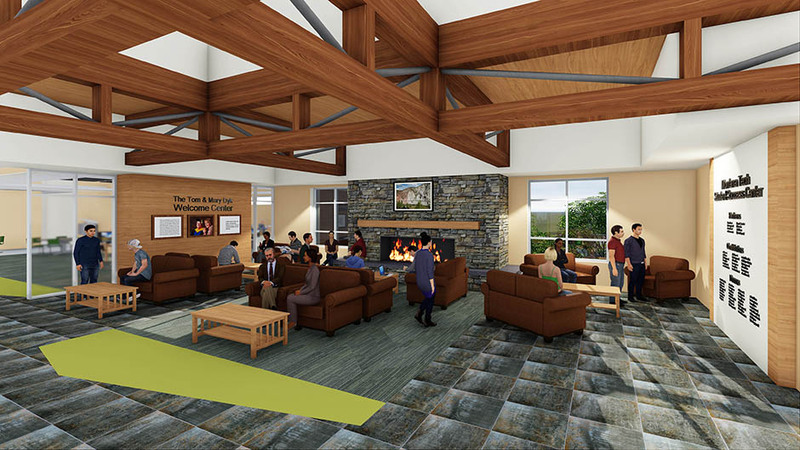 The Montana Tech Student Success and Living Learning Center will be a place for students to learn and study, to relax and play. When completed, Montana Tech’s SSC will become the heart of our campus. The nearly 100,000-square-foot facility will complete the student life experience on campus, providing an inspiring environment for students to live, dine, socialize, cultivate valuable leadership skills, and forge lifelong friendships. The first two floors of the facility will also provide a much-needed boost to Montana Tech’s residential capacity, adding 166 beds and bringing the campus’ total bed count to 455. Floor plans of the facility and interior views are available in this document. The Student Success and Living Learning Center is designed to assist Montana Tech in recruiting, retaining, educating, and graduating more problem-solvers, innovators, healers, trailblazers, and leaders. We can and will offer more opportunities for students to achieve their educational dreams and move forward on the path to their own extraordinary futures. We are excited for this major step in transforming Montana Tech’s campus and welcome the opportunity to share how you can be a part of that transformation as well. The Student Success Center will be 100% privately funded and is scheduled to be completed by Spring 2019. For more information about this project and how you can play a part in its funding, please contact Montana Tech Foundation Executive Director Michael Barth or make a gift using the form below. © Montana Tech Foundation All Rights Reserved.